The Canada Council for the Arts, ArtsNB, The University of New Brunswick, The Fiddlehead, and the UNB Bookstore are pleased to invite you to a literary reading by acclaimed writers K.D. 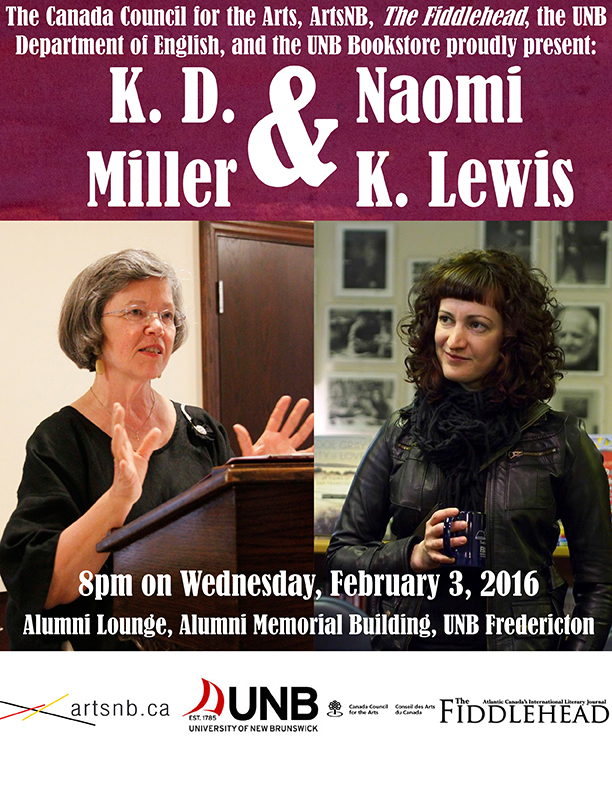 Miller and Naomi K. Lewis on Wednesday, February 3, 2016 at 8 pm in the Alumni Lounge on the Fredericton Campus. K.D. Miller is a poet, essayist, novelist, and short story writer living in Toronto. Her most recent work, and fourth collection of short stories, All Saints, was short-listed for the Rogers Writers’ Trust Fiction Prize and was included in The Globe and Mail’s 100 Best Books list for 2014. She has been a guest on CBC’s Tapestry and The Next Chapter. 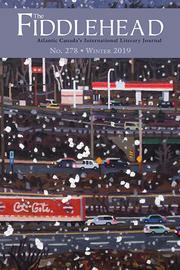 A Canadian writer of fiction and non-fiction, Naomi K. Lewis has published multiple books, short stories, and articles. Her story collection I Know Who You Remind Me Of won Enfield & Wizenty's 2012 Colophon Prize for fiction and was shortlisted for the Alberta Readers' Choice Award and the Georges Bugnet Award for fiction. She is currently the Writer-in-Residence at the University of New Brunswick.